When you agree to a mortgage and sign on that dotted line, you enter into a long, legally-binding commitment. Depending on your terms, a mortgage can outlast the house/property or even its owner. With mortgage terms lasting several decades, it’s understandable that sometimes people want a way out. Here are a few ways homeowners can get out from under their mortgages. If you find yourself in a situation where you can no longer make mortgage payments, you can default or walk away from your mortgage. In some situations, a mortgage may be worth more than its house. If this is the case, it doesn’t make sense to keep paying the mortgage. Wealthier homeowners can find other accommodations and then simply abandon their mortgaged property. Sometimes, if you speak with your bank and let them know your intent to walk away, they may help you settle with a deed in lieu. A deed in lieu of foreclosure involves giving your property deed back to the lender in exchange for being forgiven the entirety of the mortgage. The lender will then sell the property to recoup funds from the unpaid mortgage. If you miss payments on your mortgage, your lender has the option to file for foreclosure on your home. If a court complies, you will be forced out of your home. This is not typically a situation you want to be in, particularly if you don’t have an alternative housing plan worked out. A homeowner can make a case to its lender to accept less than the mortgage’s balance with a short sale. As a warning, a short sale will damage your credit. Also, with short sales, lenders have the option to hold borrowers liable for the difference between a mortgage’s value and its sale price. If you’re temporarily strapped for cash, you may want to rent out your home and live somewhere cheaper until things pick up. This approach can work in places where rental property is in high demand. If your house has multiple stories, consider renting out individual floors to maximize rental income. House flipping companies are frequently looking to buy homes at lower than market costs so they can fix them up and sell them at a profit. This can be a quick and easy way to get rid of your mortgage. You will likely have to sell your home at a lower price than it’s worth, but you won’t have to pay real estate fees or renovation costs. This sale process can be completed in a week or two, which may allow you to beat a foreclosure filing. What’s the best way to get out of a toxic mortgage? Don’t get in one in the first place. 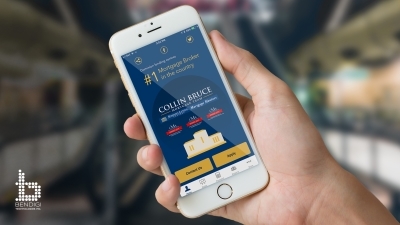 Collin Bruce is a private mortgage advisor that has access to thousands of options from Canada’s biggest credit unions, banks, and financial institutions. We will comparison shop for you. Whether you’re a first time home buyer that’s looking for home with no-down-payment, a seasoned investor, or you’re looking for refinancing, Colin Bruce will find you the best mortgage interest rates in Canada. Contact us today for a free consultation.